After he left the Oval Office for the final time, Pres Obama was asked if he had any final words to the American people: "Thank you"
VP Biden and wife Jill followed on the colonnade and joked - "keep the rain away will ya"
Incoming first lady Melania Trump channeled another first lady today with her choice of Inauguration Day fashion. 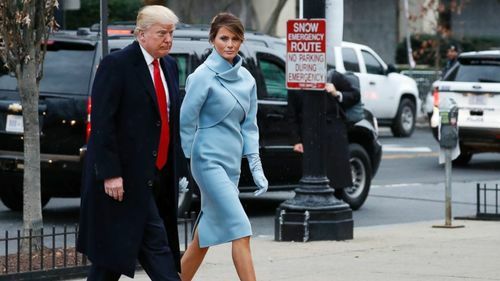 Trump, 46, was spotted entering St. John’s Episcopal Church alongside her husband, Donald Trump, wearing a Tiffany-blue dress with a structured shrug and matching gloves. The look was reminiscent of former first lady Jacqueline Kennedy Onassis, who was well-known for her classic style. 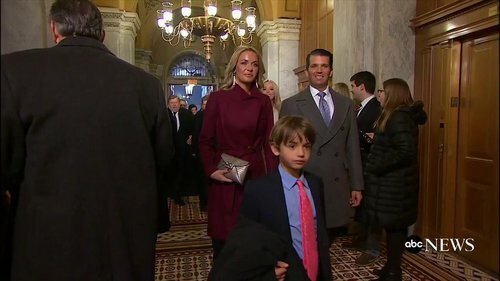 Trump’s dress was a custom design by American designer Ralph Lauren. Lauren, a New York native like Donald Trump, also designed the Italian-made silk crepe jumpsuit that Melania Trump wore on election night. 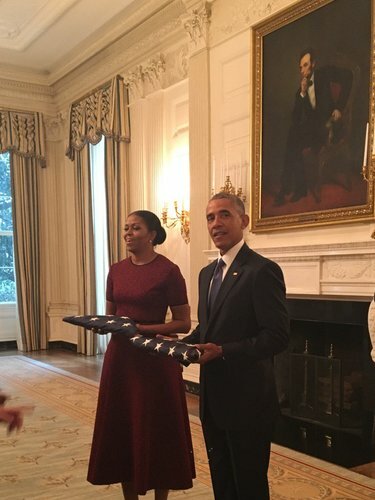 President Obama's senior adviser, Valerie Jarrett, shares a photo of the flags that flew over the White House on the first and last day of President Obama's presidency. President-elect Trump and Mrs. Trump have now arrived at the White House, greeted by President Obama and the first lady on the North Portico. "Mr President-elect how are you? Good to see you, congratulations," Obama said to the president-elect when he emerged from the car. Mrs. Trump handed Mrs. Obama a blue box, an apparent gift. 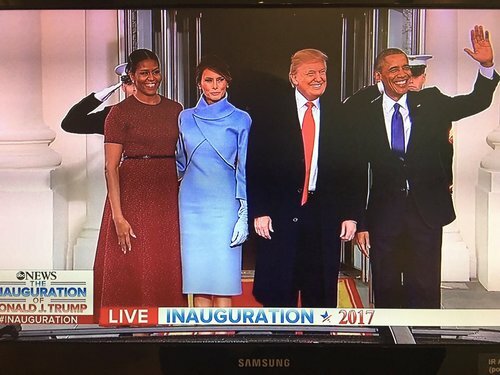 Mrs. Obama and Mrs. Trump embraced briefly. The four posed for a photo before heading inside. Before the future first couple arrived, Mrs. Obama was seen giving the president a kiss on the cheek and brushing his shoulders off. Minutes earlier, Vice President-elect Pence and wife Karen arrived and were greeted by Vice President Biden and Dr. Biden. 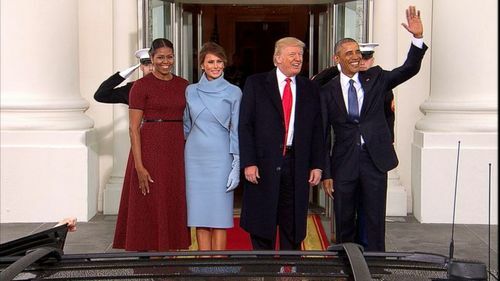 ABC NewsBarack Obama and the first lady exchanged pleasantries with Donald and Melania Trump at the entrance of 1600 Pennsylvania Avenue. 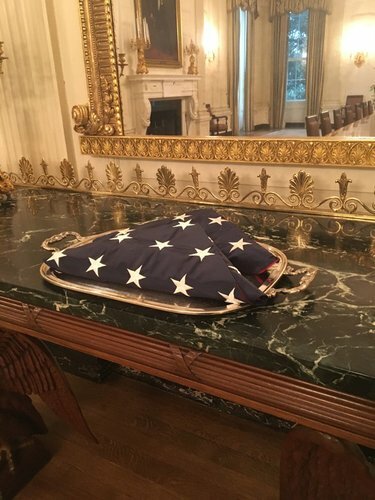 The White House Residence staff have presented the President and the First Lady with two flags that have been flown over the White House: one flown on the first day of the Presidency and one flown the morning of the last day of the Presidency. 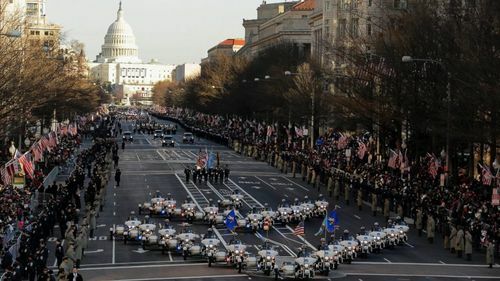 ABC NewsInauguration Day marks the beginning of a new president's administration, and here is what traditionally makes up the day's events. “Today is going to be a tough day for millions of Americans including myself,” former presidential candidate and Vermont Sen. Bernie Sanders said in a video posted today. 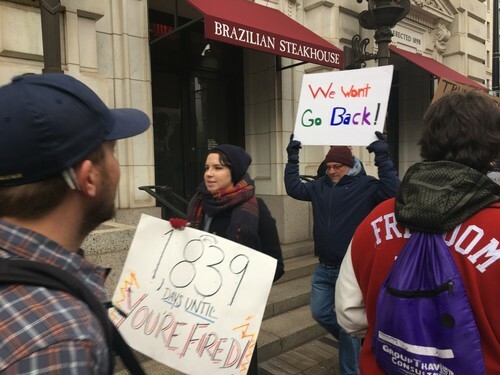 “But our response has to be not to throw up our hands in despair, not to give up, but in fact to fight back as effectively and vigorously as we can," Sanders said. 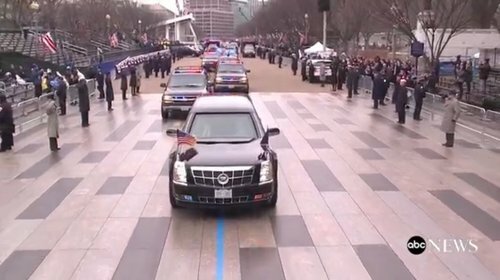 President Obama and President-elect Donald Trump have left the White House together and are on their way to U.S. Capitol for Trump's swearing-in ceremony. 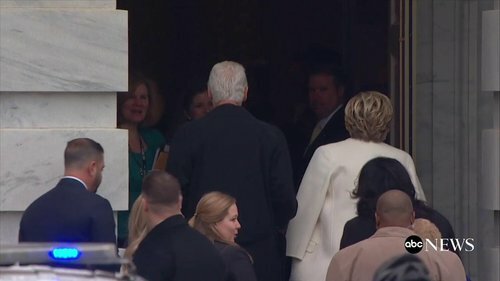 As Bill and Hillary Clinton arrive at the Capitol, President Obama and President-elect Trump leave the White House. 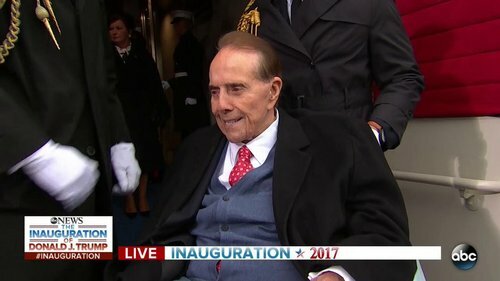 Donald Trump will be sworn in using two Bibles - the Bible his mother gave him on his Sunday school graduation in 1955 and the same Bible President Lincoln used at his first inauguration. 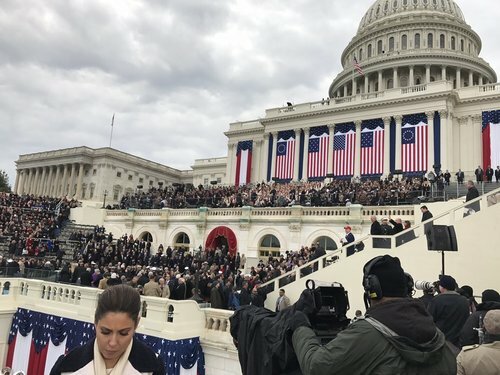 Lincoln's Bible was also used at Obama's 2009 and 2013 inaugurations. 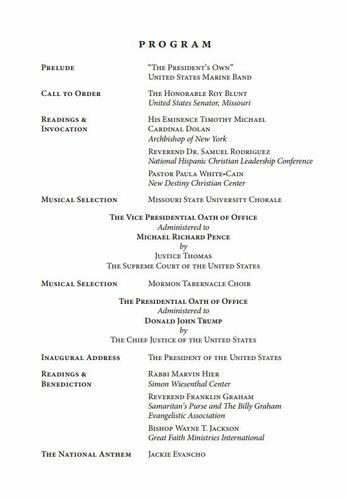 As tradition, Chief Justice John Roberts will administer the oath of office to Trump. Hillary Clinton, who lost the election to Donald Trump, tweets on Inauguration Day. 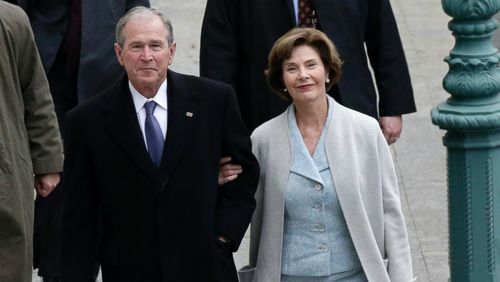 She is in attendance at Trump's swearing-in ceremony as a former first lady. 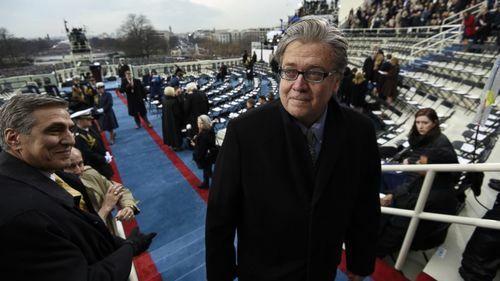 Trump and Obama are enroute down Pennsylvania Ave.
Steve Bannon, incoming White House chief strategist and senior counselor to President-elect Donald Trump, arrives at the U.S. Capitol for Trump's inaugural ceremony. 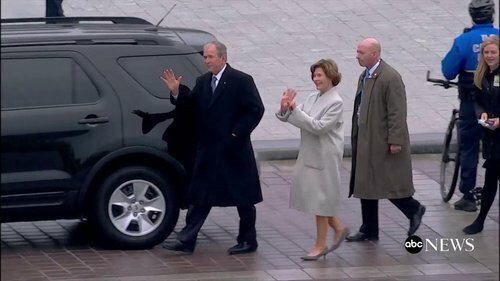 Former president George W. Bush and former first lady Laura Bush arrive at the Capitol for Trump’s inauguration. 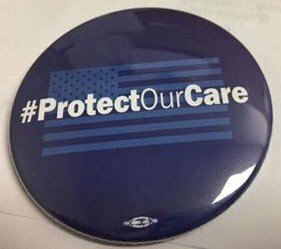 Not just HRC. Ivanka and Tiffany Trump also wearing white today. 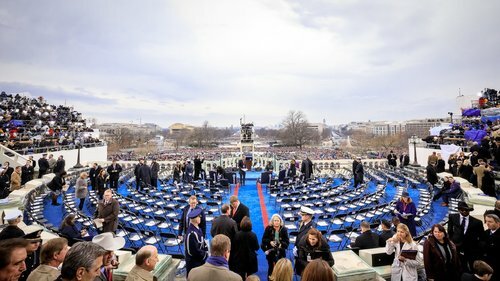 After being sworn-in at noon, Donald Trump will deliver perhaps the biggest speech of his life so far - his inaugural speech. 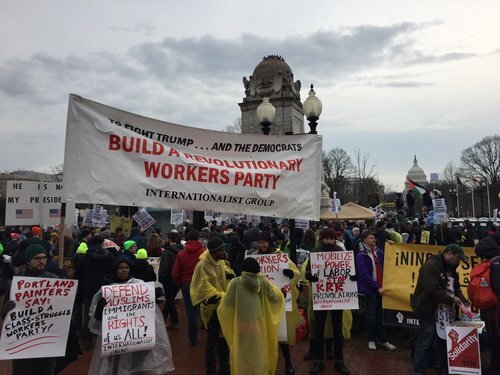 Donald Trump began drafting his inaugural speech three weeks ago. In an interview with Fox News that aired Wednesday, Jan 18, Trump revealed the first line in his big speech. "The first line is thanking everybody, all of the presidents," Trump said. Incoming press secretary Sean Spicer told reporters Wednesday Jan. 18 that Trump wrote the speech himself, with guidance from senior staff, and he continues to update the draft. 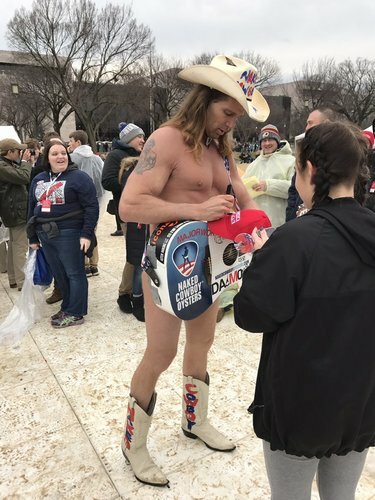 "It's very personal to him," Spicer said. For preparation, Trump has watched previous inaugural speeches to get a sense of historical lengths and styles. 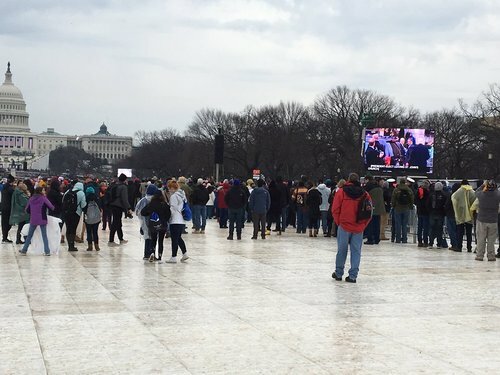 Trump's speech will be around 20 minutes, according to Spicer. 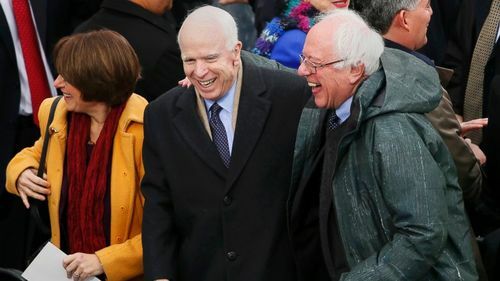 Republican Senator John McCain and Democratic Senator Bernie Sanders at Donald Trump’s inauguration ceremony at the U.S. Capitol.